Home Entertainment Local Entertainment Nashville’s CMA Fest Continues to be the BEST! 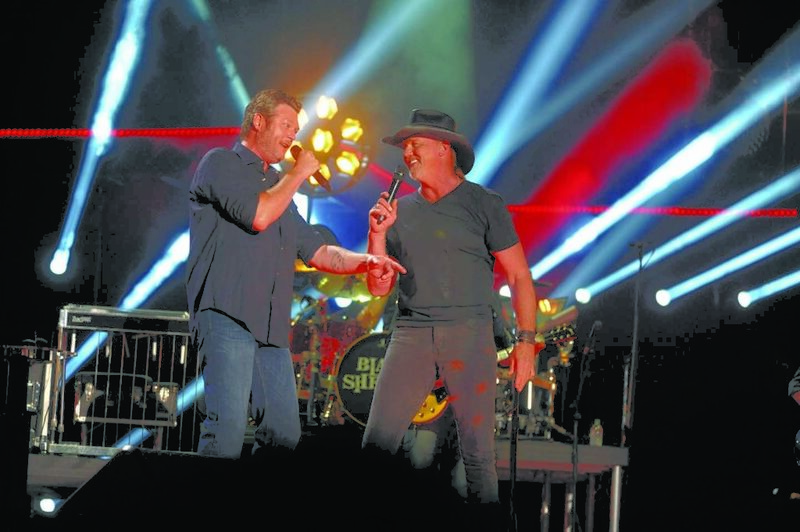 CMA Fest crowd welcomes Blake Shelton to Broadway. Photo by Earl Flippen, Jr.
NASHVILLE, TN — CMA Music Fest 2017 had the best of both worlds this year. For sports fans, notably Predators hockey fans, the beginning of the fest activities featured a blending of both country music and hockey fans who filled every nook and cranny of downtown Nashville and surrounding areas. In the end, unfortunately, the Predators lost out on winning their first Stanley Cup, but the good news is the bands played on. 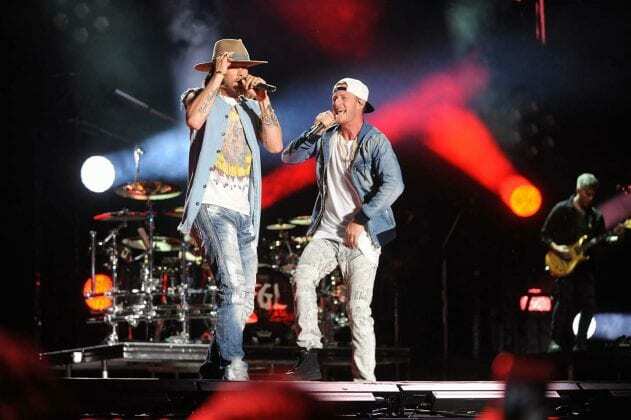 As always, CMA Fest broke its own attendance record, with thousands of fans from all 50 states and at least 18 foreign countries. Among the many highlights from this year’s CMA Fest event was several country music stars launching their own liquor brands. 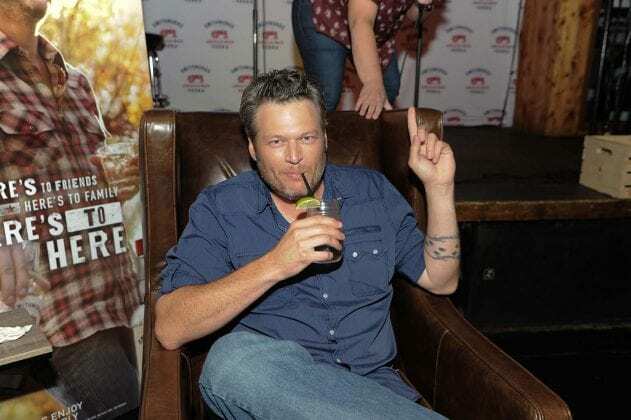 Blake Shelton presented the Nashville launch for Smith Works Vodka. 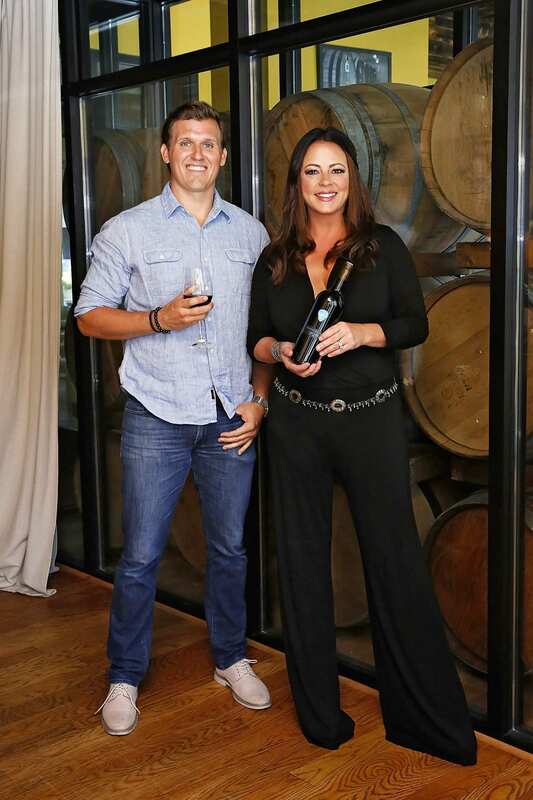 Sara Evans launched the One Hope Wine Series, with proceeds benefiting the music education for the CMA Foundation; and Darius Rucker has partnered with 843 to launch Backstage Southern Whiskey, an 84.3-proof craft blend. 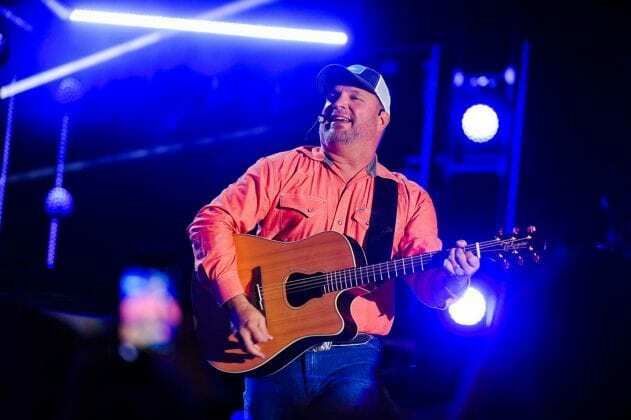 Among the many exciting music moments, the biggest surprise was to see Garth Brooks in concert at sold-out Nisssan Stadium. Garth has now become even more famous for his unexpected surprise appearances but as always, his fans can never be surprised enough by their favorite superstar. 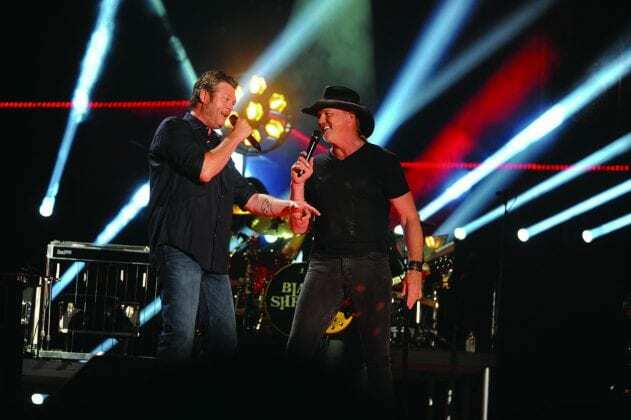 Blake Shelton and Trace Adkins Photo by Earl Flippen, Jr.
Kelsea Ballerini Photo by Earl Flippen, Jr.
Florida Georgia Line Photo by Earl Flippen, Jr.
Lady Antebellum Photo by Earl Flippen, Jr.
Garth Brooks was a surprise performer! Photo by Earl Flippen, Jr. 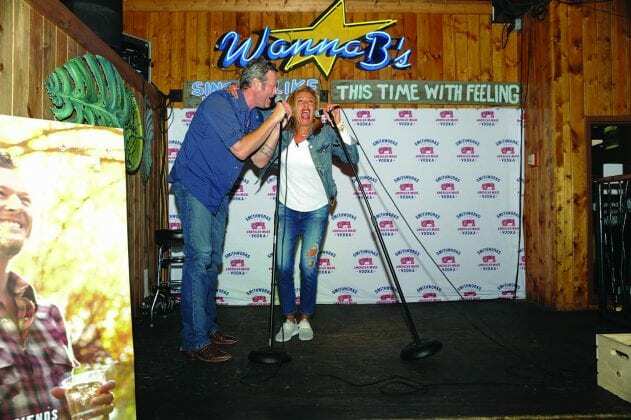 The Today Show’s Hoda Kotb and Blake having some karaoke fun at Wanna B’s. Blake Shelton takes a sip and a sample of Smith Works Vodka at the Nashville launch. 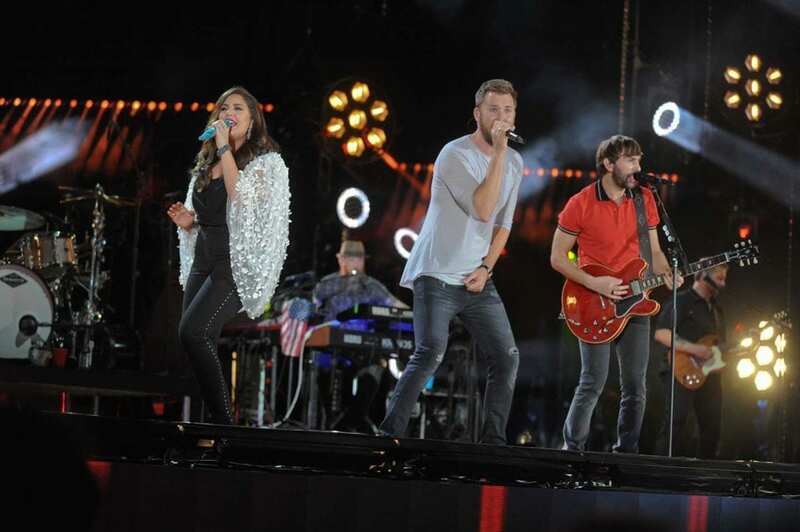 Photo by Earl Flippen, Jr.
Maren Morris and Thomas Rhett Photo by Earl Flippen, Jr.
Miranda Lambert Photo by Earl Flippen, Jr.